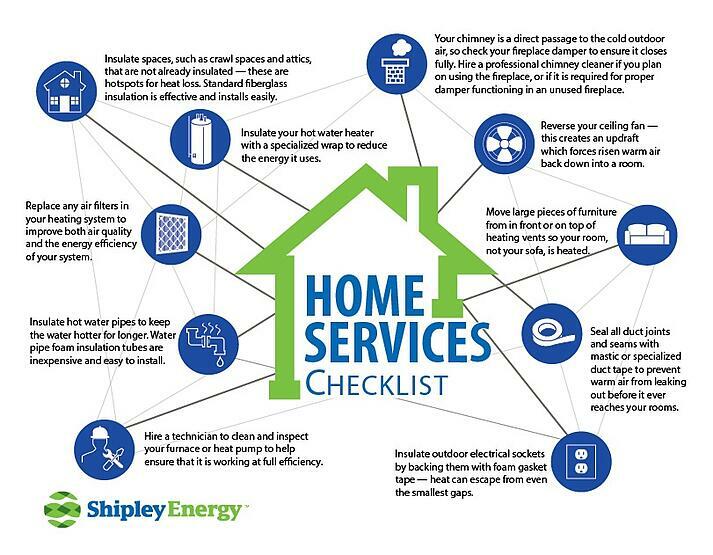 We wanted to share some of our tips to help winterize your home! Below are the top tips that we've tried in our own homes and were proven to be worthwhile. We hope you find them useful, too! Insulate spaces, such as crawl spaces and attics, that are not already insulated — these are hotspots for heat loss. Standard fiberglass insulation is effective and installs easily. Replace any air filters in your heating system to improve both air quality and the energy efficiency of your system. Hire a technician to clean and inspect your furnace or heat pump to help ensure that it is working at full efficiency. Insulate your hot water heater with a specialized wrap to reduce the energy it uses. Insulate hot water pipes to keep the water hotter for longer. Water pipe foam insulation tubes are inexpensive and easy to install. Move large pieces of furniture from in front or on top of heating vents so your room, not your sofa, is heated. Reverse your ceiling fan — this creates an updraft which forces risen warm air back down into a room. Seal all duct joints and seams with mastic or specialized duct tape to prevent warm air from leaking out before it ever reaches your rooms. Your chimney is a direct passage to the cold outdoor air, so check your fireplace damper to ensure it closes fully. Hire a professional chimney cleaner if you plan on using the fireplace, or if it is required for proper damper functioning in an unused fireplace. Insulate outdoor electrical sockets by backing them with foam gasket tape — heat can escape from even the smallest gaps.